Bandleaders Graham Richards and Dan Duval first met during their youth in California, worked together in Boston where they both attended Berklee College of Music, and have now reunited to collaborate on their debut album of original music. 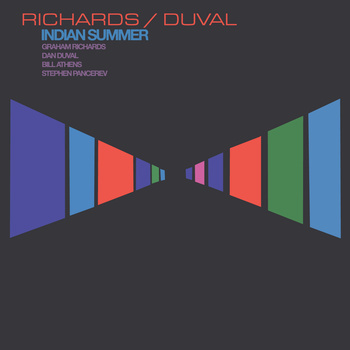 Drummer Stephen Pancerev has worked extensively with Duval in the award winning chamber jazz ensemble The Ocular Concern, and bassist Bill Athens and Duval have worked together with a wide array of musicians from the Portland jazz and improvised music community. This new ensemble is informed by all of this shared experience. The way the group breathes together as a single voice exudes a distinctly west coast flavor throughout the suite of expansive, unhurried mood pieces.